This is a fun DIY lifehack idea from our friends at Purina! 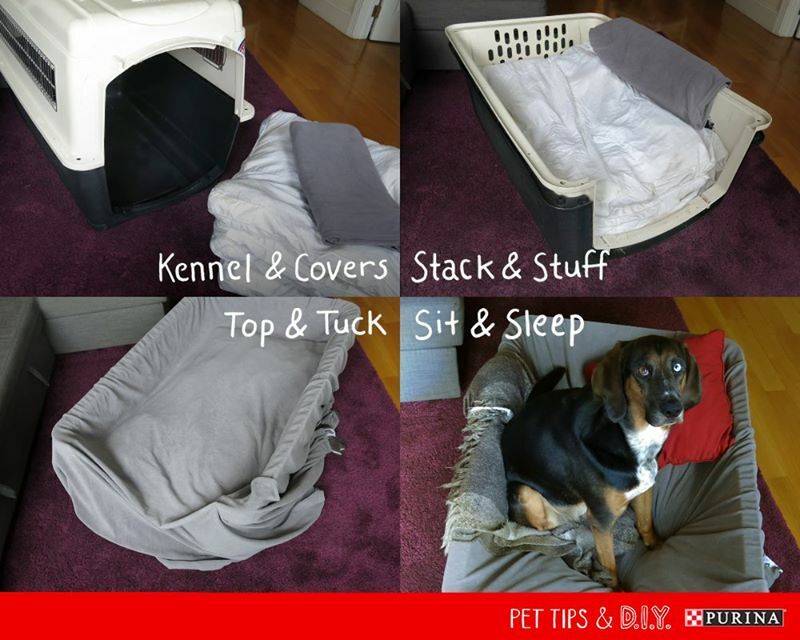 Re-purpose your pet’s airline crate as a pet bed! Super easy to put a pillow inside the stacked halves, cover with a sheet, and add another comfy pillow. What a great way to store your pet’s travel kennel while using it at the same time!